Idris Ackamoor & The Pyramids are a jazz group formed in 1972 for whom the term “spiritual jazz” entails an explicit connection between the avant-garde and an ancient musical continuum of spiritual experience going back to pre-colonial African religion. Born Bruce Baker on Chicago’s south side, saxophonist Ackamoor cut his teeth playing with Albert Ayler sideman Charles Tyler before participating, while a student at Antioch College in Yellow Springs, Ohio, in Cecil Taylor’s Black Music Ensemble. Alongside future Pyramids Margaux Simmons and Kimathi Asante as well as a young Jemeel Moondoc, Ackamoor, under Cecil’s mentorship, learned to improvise with spontaneity and intensity as well as to holistically appreciate the tradition of music from the African diaspora. With funding from the Antioch Abroad Program, Ackamoor, Simmons, and Asante travelled to Amsterdam and Paris, where they met drummer Donald Robinson, christened their band, and then embarked on a pan-African odyssey, studying traditional music, collecting instruments and costumes, and absorbing local customs every stop of the way. Traveling through Morocco, Senegal, and Uganda, The Pyramids also studied with the Maasai and Kikuyu tribes of Kenya, soaked in the mysticism of Dagomba king prayer drummers in Ghana, and explored the rock-hewn churches of Lalibela, Ethiopia. 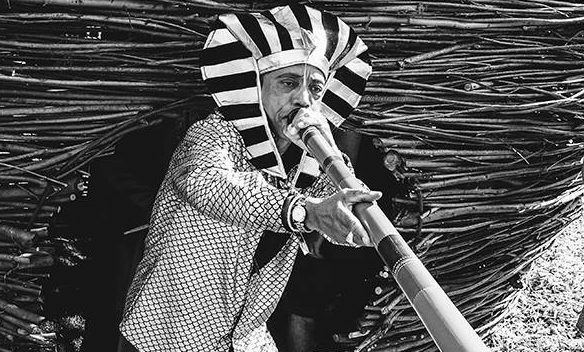 Impressed by the shamanic communities witnessed during their journeys, The Pyramids returned to Ohio with a newfound determination to break the crushing mindset of America’s ghettos through the introduction of a new set of rituals. Their mesmerizing theatrical pageants became filled with an atmosphere of dance, magic, drama, and procession, carried along by their new old African instruments and costumes. During this period The Pyramids self-released a trilogy of highly sought-after LPs of fervent modal jazz, with funky basslines buttressing aggressive polyrhythms, ominous chants, and Ackamoor’s ecstatic blowing. They moved to Oakland, where they embraced the Bay Area’s psychedelic scene, and disbanded in 1977 following a final show at the Berkeley Jazz Festival. The Pyramids reunited in 2007 in response to a resurgence of interest in their music, namely from the record-collecting community, and have since released a second trilogy of records with a revolving cast of new and original players. Their commitment to ritual and ceremony remains intact, but new influences from the African diaspora have gained prominence, with fusions of Fela Kuti’s Afrobeat, Ethiopian jazz, dub, and Sun Ra’s balladry pushed to the fore. Their current, more lyrical incarnation gives direct voice to their socially conscious protest music, with this year’s An Angel Fell expressing ecological and political concerns, including a lament for the 2014 killing of Michael Brown by police in Ferguson, Missouri. With Idris Ackamoor as bandleader, The Pyramids consist of George Hearst, David Molina, Sandra Poindexter, and Skyler Stover. This first New York appearance since their reformation will include special guest appearances from original Pyramids members Margaux Simmons and Bradie Speller. 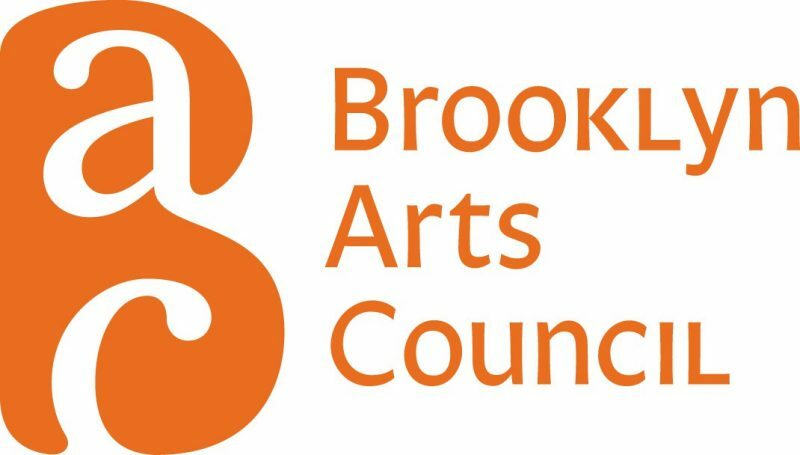 This project is sponsored, in part, by the Greater New York Arts Development Fund of the New York City Department of Cultural Affairs, administered by Brooklyn Arts Council.